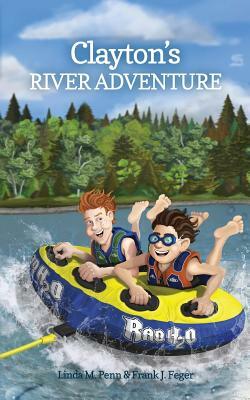 Join Clayton and his friend, Austin, on a fun and exciting Ohio River adventure aboard the Granny Rose, Grampy's new houseboat. Along the journey from Louisville to Cincinnati, the boys encounter river wildlife and habitats. Upon seeing the trash floating down the Ohio and along the riverbanks, they enlist the help of their family and Science teacher to write letters to the Mayor about cleaning up the trash. The boys confront their fears as they spend their first night onboard the "mansion on water," creepy sounds and all. Fears also abound as they prepare to go into the "concrete box," the Markland Locks. Clayton and Austin are joined on this adventure by Clayton's Mom and Grampy, who help the boys become more aware of the history of the City of Louisville and the Ohio River, as well as the workings of a houseboat.